BSD is the Berkley Software Distribution of Unix. In fact, it's the only open source Unix with direct lineage back to the original source code written by Dennis Ritchie and Ken Thompson at Bell Labs. Other modern versions are either proprietary (such as AIX and Solaris) or clever re-implementations (such as Minix and GNU/Linux). If you're used to Linux, you'll feel mostly right at home with BSD, but there are plenty of new commands and conventions to discover. If you're still relatively new to open source, trying BSD is a good way to experience a traditional Unix. Admittedly, NetBSD isn't an operating system that's perfectly suited for the Pi. It's a minimal install compared to many Linux distributions designed specifically for the Pi, and not all components of recent Pi models are functional under NetBSD yet. However, it's arguably an ideal OS for the older Pi models, since it's lightweight and lovingly maintained. And if nothing else, it's a lot of fun for any die-hard Unix geek to experience another side of the POSIX world. There are different versions of BSD. NetBSD has cultivated a reputation for being lightweight and versatile (its website features the tagline "Of course it runs NetBSD"). It offers an image of the latest version of the OS for every version of the Raspberry Pi since the original. To download a version for your Pi, you must first determine what variant of the ARM architecture your Pi uses. Some information about this is available on the NetBSD site, but for a comprehensive overview, you can also refer to RPi Hardware History. The Pi I used for this article is, as far as I can tell, a Raspberry Pi Model B Rev 2.0 (with two USB ports and no mounting holes). According to the Raspberry Pi FAQ, this means the architecture is ARMv6, which translates to earmv6hf in NetBSD's architecture notation. If you're not sure what kind of Pi you have, the good news is that there are only two Pi images, so try earmv7hf first; if it doesn't work, fall back to earmv6hf. For the easiest and quickest install, use the binary image instead of an installer. Using the image is the most common method of getting an OS onto your Pi: you copy the image to your SD card and boot it up. There's no install necessary, because the image is a generic installation of the OS, and you've just copied it, bit for bit, onto the media that the Pi uses as its boot drive. The image files are found in the binary > gzimg directories of the NetBSD installation media server, which you can reach from the front page of NetBSD.org. The image is rpi.img.gz, a compressed .img file. Download it to your hard drive. If you're working on Windows, you can install the open source 7-Zip archive utility. Once the image file is uncompressed, you must copy it to your Pi's SD card. There are two ways to do this, so use the one that works best for you. 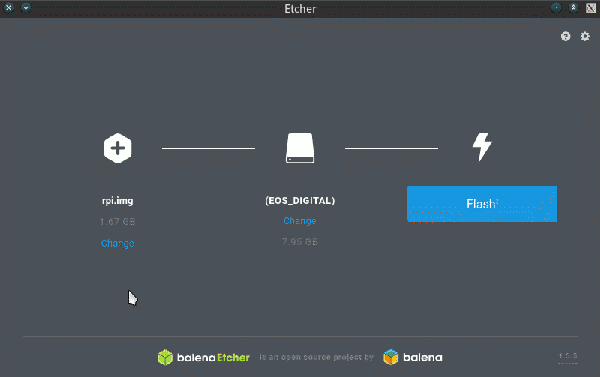 Etcher is a cross-platform application specifically designed to copy OS images to USB drives and SD cards. Download it from Etcher.io and launch it. In the Etcher interface, select the image file on your hard drive and the SD card you want to flash, then click the Flash button. On Linux, BSD, or MacOS, you can use the dd command to copy the image to your SD card. First, insert your SD card into a card reader. Don't mount the card to your system because dd needs the device to be disengaged to copy data onto it. Run dmesg | tail to find out where the card is located without it being mounted. On MacOS, use diskutil list. Before doing this, you must be sure you have the correct location of the SD card. If you copy the image file to the incorrect device, you could lose data. If you are at all unsure about this, use Etcher instead! When either dd or Etcher has written the image to the SD card, place the card in your Pi and power it on. 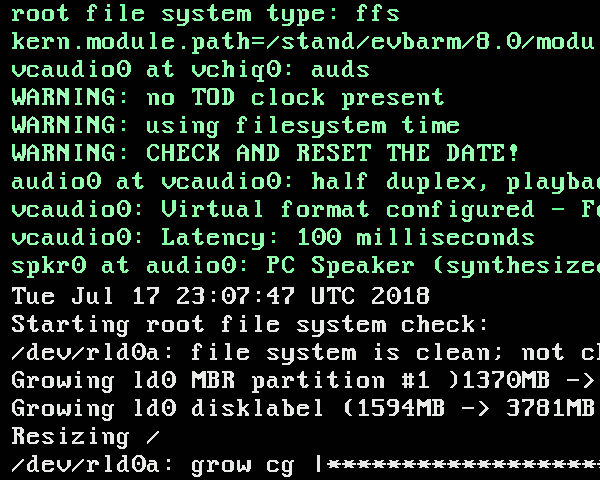 The first time it's booted, NetBSD detects that the SD card's filesystem does not occupy all the free space available and resizes the filesystem accordingly. Once that's finished, the Pi reboots and presents a login prompt. Log into your NetBSD system using root as the user name. No password is required. Log out, and then log back in with your new credentials. If you've ever used a Pi, you probably know that the way to add more software to your system is with a special command like apt or dnf (depending on whether you prefer to run Raspbian or FedBerry on your Pi). On NetBSD, use the pkg_add command. But some setup is required before the command knows where to go to get the packages you want to install. There are ready-made (pre-compiled) packages for NetBSD on NetBSD's servers using the scheme <ftp://ftp.netbsd.org/pub/pkgsrc/packages/NetBSD/[PORT]/[VERSION]/All>. Replace PORT with the architecture you are using, either earmv6hf or earmv7hf. Replace VERSION with the NetBSD release you are using; at the time of this writing, that's 8.0. Unlike many Linux distributions (Slackware being a notable exception), NetBSD does very little configuration on your behalf, and this is considered a feature. So, to use Bash, Jove, or Nano as your default toolset, you must set the configuration yourself. Set the value for shell in the chsh entry to /usr/pkg/bin/bash, then save the document. The pkg_add command is a privileged command, which means to use it, you must become the root user with the su command. If you prefer, you can also set up the sudo command, which allows certain users to use their own password to execute administrative tasks. Save the document as described in Nano's bottom menu panel and exit the root shell. NetBSD is a full-featured Unix operating system, and now that you have it set up on your Pi, you can explore every nook and cranny. It happens to be a pretty lightweight OS, so even an old Pi with a 700mHz processor and 256MB of RAM can run it with ease. 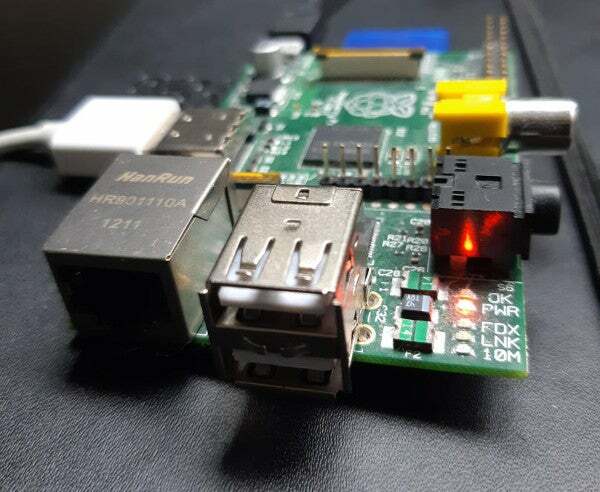 If this article has sparked your interest and you have an old Pi sitting in a drawer somewhere, try it out! Fixed in the article for future readers. Thanks for catching that! Just a point of correction - NetBSD is an open-source "unix-like" operating system. It is not an open-source UNIX operating system. It does not have a lineage back to the original AT&T UNIX source code. It is a fork of 386BSD, which was based on the NET/2 code with the removed AT&T code being rewritten from scratch. Thanks, I've changed some wording to reach plausible deniability if accused of misleading readers. The article isn't meant to be a history lesson, so I don't want to bog it down with specifics, but I do want to introduce BSD without conveying blatantly incorrect data. For future readers: an earlier subtitle to this article greatly confused NetBSD's lineage, citing it as "the only Unix with direct lineage to the original" (the article itself, however, cited BSD with that honour, and explained than NetBSD is not itself the same as generic BSD). NetBSD is not a "distribution" of BSD. FreeBSD, NetBSD, OpenBSD and others are *different* operating systems, having different kernels. Unlike Linux, which shares the same kernel among distributions. Thanks for the clarification, Mark___. I've heard this distinction made of BSD, but I don't understand the semantics. I suppose it's a similar issue to calling an entire OS by the name of its kernel (as in "Linux"). I don't know that I agree with the argument, but if it's generally understood that the word "distribution" in the context of OS *distribution* implies "the same kernel", then it's confusing for me to use the word in a different way. I've changed the term "distribution" to "version" in an introductory paragraph. I imagine someone else will take issue with that term, too. What I really want to express is that there are many operating systems with the consecutive letters "BSD" in their names. Most of them have a reason for containing this sequence of letters, and ultimately it revolves around Berkeley, which obtained software at one point, from AT&T, which served as the basis for further development. I probably should have just written that into the article, but it sounds cheeky, and I want to afford the BSDs the measure of respect they deserve. I certainly don't intend this article to be an exploration of BSD's history or development, but rather an exploration of installing and using it.